Carpal Tunnel Release in Mesa, Chandler, Gilbert, Tempe, and Phoenix | Gerald L. Yospur, M.D. The carpal bones are eight small, marble-sized bones that form the wrist. These bones are right in between your long forearm bones, and your hand bones. The “carpal tunnel” is the name for a natural structure that exists in everyone. As the name suggests, it is a tunnel — the carpal bones (wrist bones) make up the floor and walls, and a broad flat ligament creates the roof. A nerve, called the Median Nerve, runs through the tunnel, along with 9 tendons that allow forearm muscles to control the fingers. Repetitive hand movements can increase the pressure within the carpal tunnel, resulting in pressure on the Median Nerve. This creates numbness, tingling, hand “falling asleep,” pain, and weakness in your hand and fingers. If you don’t have carpal tunnel surgery when your symptoms are mild, they can become very severe and sometimes irreversible. However, there is a quick and very effective procedure that relieves the pressure inside the tunnel, and creates nearly-instantaneous relief. Short-term hand therapy is typically needed afterward to help the hand and wrist heal, to minimize stiffness/swelling, and to help regain strength and range of motion like before the symptoms started. You should notice dramatic improvement in your original symptoms (numbness, tingling etc) within the first few days after surgery. During the final week or so of formal therapy, hand and finger strength and endurance will be emphasized. Final functional goals will be dependent on the person’s age, prior level of function, and physical needs for daily life. The majority of swelling will have resolved by this point, but may continue to improve over the next 4-6 months. 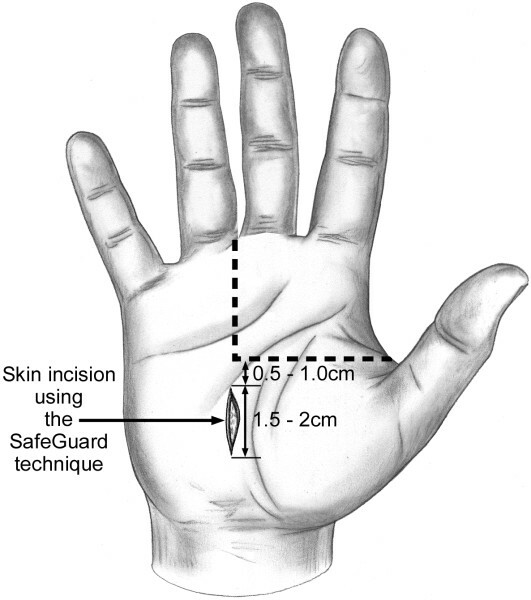 By 6 weeks post-op, range of motion should be within normal limits, and hand/finger strength should be 75-85% of normal.